I have seen your giveaway. It’s lovely 🙂 and for such a good cause, too. Both the books have very catchy titles. Some apparently can be judged by their covers. Yes, sometimes ;). It shouldn’t matter but I do love to see a book where a lot of thought has been given to the look and feel of the book. This may be the best idea I’ve heard of in a long time and what fun. Throw my hat in the ring, my lovely lady. Now I know why I like to read your blogs on a quiet Saturday or Sunday evening. It’s as though I’ve come to the well where I refresh my spirit and senses. Where I see beauty in it’s many forms but also intellectual stimulation. We’ve had our first hard freeze, weeks earlier than normal. I’m behind with my mulching but am doing everything possible to save every last beautiful flower and some that aren’t as beautiful but still earned a place in my heart. You, dear lady, have taught me that everything in it’s own place and time has beauty to share with the world. Went out to survey the gardens just before dark. Hundreds and hundreds of blooms covered in deep frost (almost ice if we had precipitation). It’s a beautiful site in a strange kind of way. I wish Tom were steady enough on his feet to be my photographer. He does the class act stuff – my attempts leave much to be desired. However, there will be fresh flowers at Thanksgiving – always flowers and books! Wow – great tip regarding the photographing sitting down. Tom’s trembling is also caused by medication. Sometimes he’ll use a tripod. Took the dogs out and we’ve had at least an inch of snow. Snow! Well, that makes the quote even more apt than I thought it would be. I have thought about getting a tripod but for the time being I just support myself, plus camera, wherever I can. Out my office window this a.m., I have drift pink roses and snow. I hope to get a photo of it but across the street, the snow has melted as they are in the sun already. I thought of you the moment I opened my blinds – and smiled. May you have a wonderful day. I love that you hold Sophia’s book in your hand, for the tactile pleasure of it. I don’t think to do that. I always smell my books and love the touch of many of my books’ pages but I can’t think of a cover that pleases me touch-wise (I will now go and touch all my book covers like a mad woman!). I noticed that my older books, the ones I inherited from my grandparents, are particularly nice to the touch. The worn covers, touched by many readers, has a softness acquired by generations of love. Oh yes, indeed. Does this mean books have patina, I wonder? Certainly thicker covers. At least mine do. Oh,you remind me of all the moves we used to do. Such a headache trying to decide what to keep and what to discard, and, in the end, the books seemed to win, and always took up about 80% of our luggage! I have boxes and boxes of them, and in the end, the photo albums, the children’s baby books, the family stories, the award winning books I read to the children – they win. I want them to be around for my children’s children, even when technology changes. I am hoping mine will be around too. Some are already very old. You will be entered. Books are made for adventure, and I am sure these ones won’t mind another journey to somewhere. At least, they are light in comparison to Victor Hugo’s 900 plus handwritten manuscript which recently travelled from France to Australia and back again. http://www.victorhugoexhibition.com.au/ I wouldn’t want to pay that transportation fee!!! The drawing sounds like lots of fun–but don’t include me in it. I’m far behind on my reading and need to get caught up a little before I add any more books to the pile. Many will be in the same boat Sheryl!!!! What a beautiful post on the joys of sharing you have offered to us. Thanksgiving is drawing near and it’s always wonderful to share our extras with others. Have a happy holiday and much happy reading! Happy Thanksgiving to you Mary. Do you still celebrate it whole heartedly despite your years in Australia? No, Gallivanta, we don’t formally celebrate thanksgiving, but I do roast a turkey on July 4th, America’s Independence Day, because it’s in winter and roast turkey on a chilly evening works a treat. Crazy, isn’t it. Sounds very suitable to me; adjusting the celebrations to the season in which we find ourselves. I keep meaning to read some of Dianne Gray. Not my usual kind of thing but they do sound good. I don’t want to be included in your give away, thanks Ann. Postage would be a nightmare. 🙂 I was just ‘stopping by’. That’s fine Jo. I have factored in the postage but I appreciate that not everyone will want to participate. Yes, I am laughing at myself because I now seem to be fixated on murder/mysteries. Last year, I wouldn’t have given them a second glance. You know, reading your blog is the best giveaway gift. Thank you April for that gift of a sweet generous comment. Well, the postage alone would probably be three times the cost of the book, so I will have to seek out these books from my local library. Meanwhile, how kind of you to do this for your readers – and for the authors, too. Coincidentally – perhaps at the same time while you were writing this, I was taking a page from your “book” of generosity, and shining a light on some other creative bloggers and their products. so, you’ve influenced me positively – again! Yes, I have had a quick look at your ‘shining light’ post. As you may have gathered, I am away from my usual computer, so am not keeping up with blogging posts as much as usual. I am looking forward to a proper read of your post. Have a good trip, Gallivanta. All my best. Home again already. Holidays go by so quickly. I am happy to oblige. All the best with your building plans. Will you give Jack the job of sniffing out the fortunate recipients? What a generous offer you are making. Thanksgiving is one American celebration that has not caught on here…..yet. Our seasons are not in synch with harvest time but we could embrace the wonderful sentiment. I was thinking of giving that role to Jack. You are absolutely right there! I love Thanksgiving. Our Harvest Festival used to be quite a special occasion but that seems to have lost a lot of its importance in recent years, now that we believe everything to be available year round at the supermarket. Great. Is Jack on holiday then? My late brother ran a Kennels 12 or so years ago and as a dog lover was in 7th heaven. His “boarders” were very well treated and so they should be! Yes, Jack is on holiday as we are. The kennel owners are much like your brother. They love dogs and all animals. Jack gets to see chickens and cows and sheep and all sorts of wonders. 7th heaven for him, too. There is no place like home either! I hope you feel refreshed. Nicely refreshed, although I did find far too many silly drivers on the road for my liking. The nor’west wind must have been agitating their common sense. I’m glad you are safe. We are all feeling ratty with the nor’westers….and more forecast…. My hair certainly looks ratty and windswept. But Timaru was really really lovely. The journey was worth it. What a kind and nice thing to do, Gallivanta! Your posts are always delightful so I want to thanks YOU for brightening my days! Have safe travels, my friend. Thank you Tiny. Your posts delight me too. I will be home early next week. You’re so fun! Kudos to you for doing a Giveaway. I’ve never tried one before. 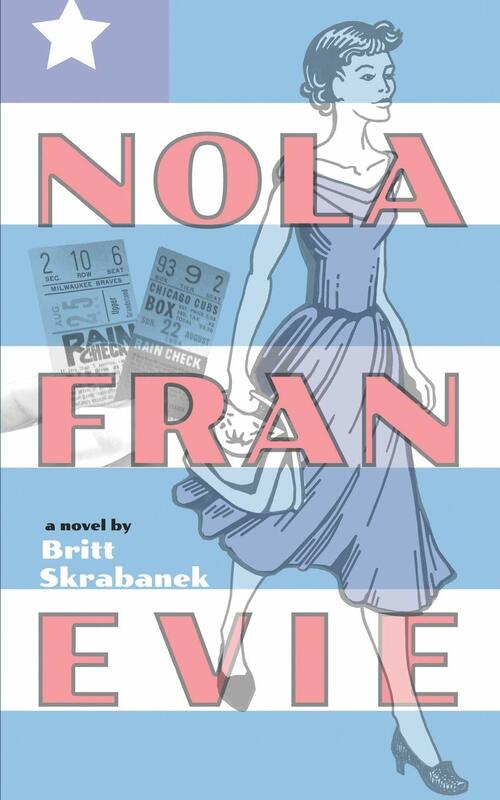 And, of course, thanks for another Nola Fran Evie mention. You’re a sweetie! This is my first. I am a bit nervous, truth to tell! Over the organizational aspect, I mean. You avoided the spam! You will be in the drawer. Just finished a sweet (early novel: The Little Warrior, also known as Reckless Jill) novel by the prolific P.D. Wodehouse, who combines English and American cultures in easy to navigate prose. The love of the handheld book is one of life’s greatest pleasures. It’s a joy to know another who is dedicated to this pursuit. Oh I do love a handheld book. However ebooks do solve a big problem for me and that is the cost of postage if I order from Amazon etc. The mail delivery costs are exorbitant for those of us who live so far ‘downunder’. 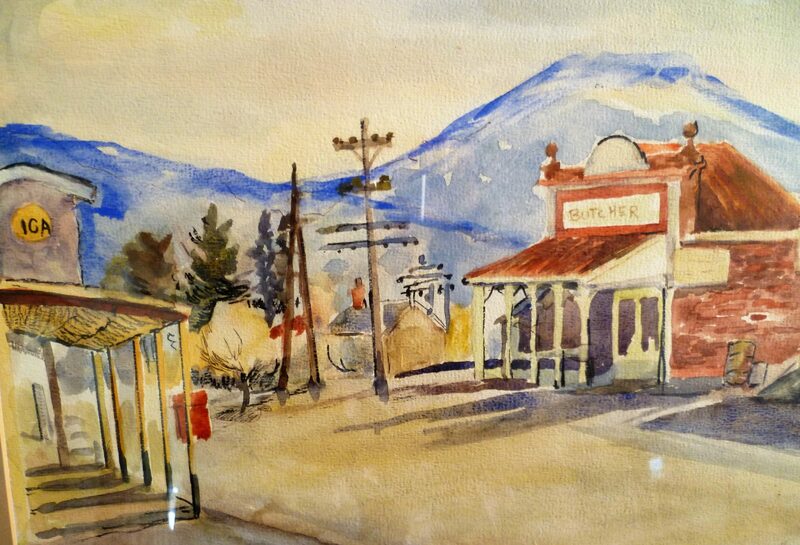 I love the painting you end with–I think I recognize a great-great-grandparent in there! Count me in for the give-away! I read tons of murder mysteries (but nothing gruesome!) so, if you want reading suggestions, let me know! You are gracious.. I also like the idea of pretending to be 17 again 🙂 The would be a great fun once again. Have a fun fun time at 17 again Gallivanta! I will try to join.. I really want to read Mayfair Brooks. I am very curious about the Mobile Episodic Drama format. However I can’t do so just yet because I am gallivanting, and I don’t have access to all my usual technology. I don’t know how your give away works, but I do enjoy reading. You also mentioned a book called “It’s in His Kiss”. I assume that is about mastering the art of French Kissing? If not, I will be thankful if you don’t sign me up. Ladysighs! I hope I know how my giveaway works. I haven’t done one before so I am on a learning curve. Unfortunately, ‘It’s in His Kiss’ is not about the art of French kissing 😉 but perhaps you can enjoy the song instead. Oh there is so much to be thankful for here! For your very kind mention (merci) of Ann’s wonderful book (merci) and promoting other blogger’s giveaways (merci) not to mention giving credit where it is due to two excellent books (merci) by doing your own giveaway (bravo!). No need to enter me as I have and enjoy both. Heather, I wish I had something to offer you but I know you already have your own beautiful copies. Sending you love and best wishes, instead. Wonderful to hear that Ute. I am having a wee holiday at the moment so am not at my regular computer. Will be catching up with your post when I can. This is the first time that I have had access to books where I actually have a connection to the authors. We may not have met in real life but knowing something about the authors gives a whole new perspective to my reading of a book. That excites me as much as anything. My dear lady, what a beautiful picture of the harvesting at Plymouth. My grandmother used to have to similar pictures of harvesting and one of ladies gleaning but here in fields of England. I am about an hours drive from Plymouth in Devon, England it is wonderful to see those Pilgrims enjoying a harvest after such an heroic journey across the world. I came upon the picture by chance but I really love it. I have been searching for the picture that you remember at your grandmother’s. There are some wonderful harvest paintings. This one is a harvest scene in Norfolk….http://www.bbc.co.uk/arts/yourpaintings/paintings/hallo-largesse-a-harvest-scene-in-norfolk-220763 Is it anything like the one you remember? I believe I am correct in saying that my ancestors left the UK to come to NZ from Plymouth. Where would be without Plymouth? Les Glaneuses, “The Gleaners” 1857. Ah, I wondered about that one. That was one that I noticed and thought was very beautiful. And I love that I get a double heart ( 🙂 ) from you. Hi Amanda! Isn’t gifting others a treat? It’s hard to find a better high, Many thanks for linking my Blog to your gifting post too, awfully kind of you. I popped over to Heathers and got chills reading her ghost story from 10-31. It’s the true ones that are really spooky. Your book sounds quite mysterious and really, who can resist palm trees at sunset. Crossing fingers, count me in 😀 Cheers. That was a super chilly experience that Heather recounted. Gave me shivers up my spine. Most other times her posts are beautiful and soothing. 🙂 Your name will be in the draw. Sorry I don’t have anything aqua for a giveaway. 😦 Perhaps if you are a winner you could create a beautiful aqua tinted book protector cover for it. I am away from home at the moment visiting a place which has beautiful sea views. The sea for the last few days has been the most beautiful aqua/turquoise. I am sending you scenes via ESP. Hope you can see them!!! If I close my eyes to the softly falling snow that’s been happening all day and click my heals twice, I might have an inkling of the lovelieness of you view. Thanks for the beachy vibes, much appreciated! HA. Snow! We are enjoying a blissful 25 C. Not quite warm enough for swimming, in my view, but lovely to be out and about. Your mention of a “beguiling Hollywood mystery” reminds me that when I was in Los Angeles in 1981 I was reading a newly published mystery novel, Canary, by Tony Cohan, much of which takes place in Los Angeles. It was strange to be reading passages and come across references to streets that I had just driven on. Yes, that sort of thing is fun. Thank you Clanmother. Our community is wonderful. I wish I had a book for everyone. Do you know I am the lucky recipient of two Giveaways this week, how lucky am I!? I feel greedy even commenting here now lol, but Sophie’s book sounds right down my alley Gallivanta. I will check out Teddy and Tottie. I have been there once before. Yes I would love to make everyone a winner too; if only I could craft. I would too, but it would just get too expensive for me. Exactly. We can only do what we can do, particularly with the postage costs. What delightful giveaways. And coincidentally, I am planning one too, for everyone who places a book order from next week until the end of November. Watch the Seasons Newsletter for details! I’m having such fun putting this one together. Thank you for tapping into the spirit of giving Gallivanta. Oh excellent. I will watch out for the details. 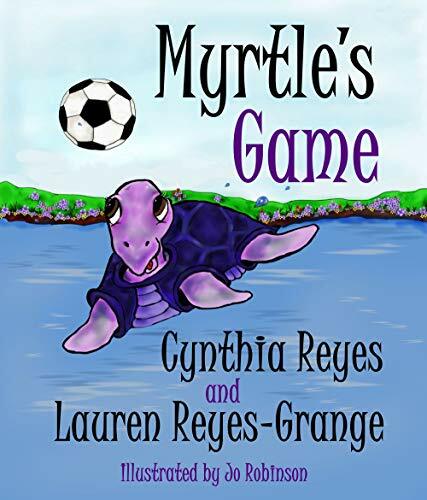 I would love another of your books..
sophia let’s us answer her post these days (one needs to have a role *sighs*) and we are Tickled Pink that you gave a tip of the hat (maroon beret – crest to the front please, girls) to our second cousin Mayfair Brooks! So Terribly Kind! And the book cover does appreciate the soft embrace. We do the same over here.